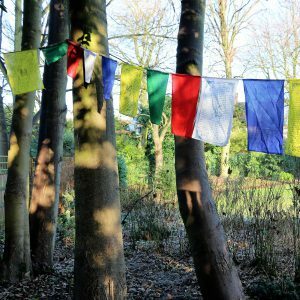 Kagyu Ling, our main Manchester base, will be closed over Easter because we are hosting a retreat. Our last class before the break will be on Wednesday 17 April 2019 at 10.30am and our first class after the break will be on Wednesday 24 at 10.30am. We apologise for any inconvenience this may cause but retreat participants require peace and seclusion. If you would like to attend a meditation session in Manchester during this period, there will be one as usual at Chapter One books (Lever Street) on Thursday 18 April at 6pm – check out Central Manchester meditation group page for details. Kagyu Dechen Buddhism North West offers meditation classes across the region: meditation in the north west. Some may also be taking a break over the Easter period so please check our What’s On listings.